During the very first interview made after being sacked by Manchester United, Jose Mourinho came back with a vengeance against Sir Alex Ferguson. 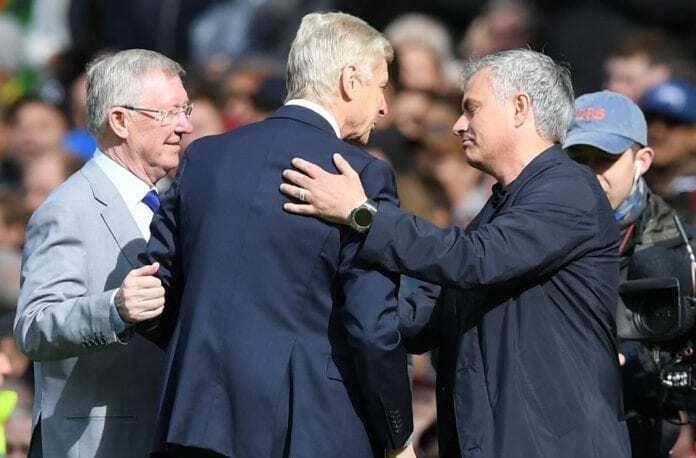 In a clear proof that he may not have learned his lesson after getting sacked by Manchester United, Jose Mourinho came out against Sir Alex Ferguson in the classic passive-aggressive way that he tends to do when he wants to attack anybody. The Portuguese manager got the Scotsman’s full support during the very first year when he arrived at the Red Devils, but he quickly realized that the club had made a mistake after signing a manager who was unwilling to evolve his outdated tactical ideas and adapt them to the modern footballer. The next two years were complete torture for the players, the fans, and the board of directors as Mourinho just remained true to his very own ideas that obviously clashed against Manchester United’s traditions. Sir Alex Ferguson saw how Jose put his legacy in jeopardy with only two years of utterly defensive football, with the manager always seeking refuge behind the titles he’s obtained throughout his career and trying to defend himself from any person who wouldn’t line up with his confrontational style. In 2004 when asked about Sir Alex Ferguson 1.000 games as manager José Mourinho said that he would be retired by 55. The only ones getting any type of benefit from these dark times at Manchester United was the sensationalist press, they loved every single curveball that Jose Mourinho kept throwing at him and they adored how contentious he tended to get against many of them. Having an angry Jose Mourinho sold papers and got them massive amounts of clicks on their websites, that’s what these media outlets are always after and this was another reason Sir Alex Ferguson started a campaign to get the Portuguese manager out of the squad as quickly as possible. During his time at the Red Devils, having leaked information to the press was practically unheard of because the manager made sure that the dirty laundry got washed within the club. 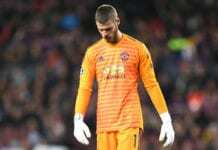 While there were some isolated incidents such as the one between him and Roy Keane, us press members almost never caught wind of what was going on behind the scenes at Manchester United. Ole Gunnar Solskjaer’s arrival has been a breath of fresh air for everybody but the press, things got a little bit boring for the tabloids once again but Mourinho was bound to make noise again from his bunker. It was on his first interview after being sacked, aired this Thursday on Portuguese outlet ‘Correio de Manha’, where Jose Mourinho had his chance to really say what he felt after going through this experience. The manager unsurprisingly came after Sir Alex Ferguson’s whole career, making references about how long it took the legendary manager to win the trophies that recognize him as the best manager in football history. Here’s the thing with Mourinho’s attacks, he doesn’t even need to mention the person he is coming after because he tends to be very specific. “I am still a very young manager. I may have started my career early but I’m not 75 years old, I’m 55 years old,” said Mourinho in a fragment of this interview picked up by Diario AS. “I believe I have the right to take some time and reflect on my mistakes, to analyze everything I have done in the last few years but doing it in a relaxed manner so I can prepare my self for the next stage of my professional career,” he added. Mourinho on the possibility of returning to Real Madrid: "When a footballer or a manager is invited to return is a sign that they did a good job where they were before. I felt that when returning to Chelsea"
What do you think about Jose Mourinho’s attack against Sir Alex Ferguson’s career? Please share your opinion in the comment section down below.